After an exhausting search of the digital press market. 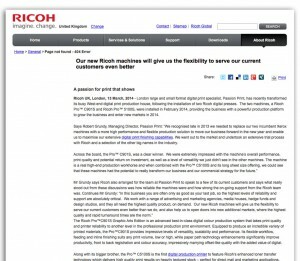 Passion Print discovered the Ricoh Graphics Art Pro901s & Pro5100s. Giving us what we believe a leading edge in digital print. Please read article for further information.